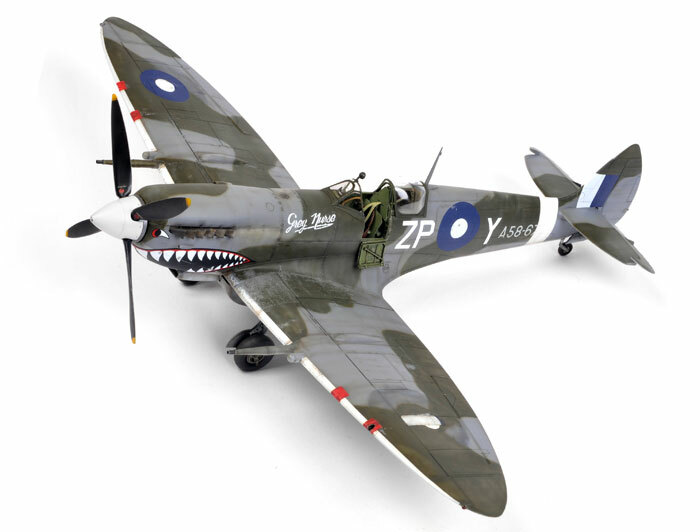 Here is Tamiya's new 1/32 scale Supermarine Spitfire Mk.VIII, built and detailed by Brett Green; painted and weathered by Chris Wauchop. 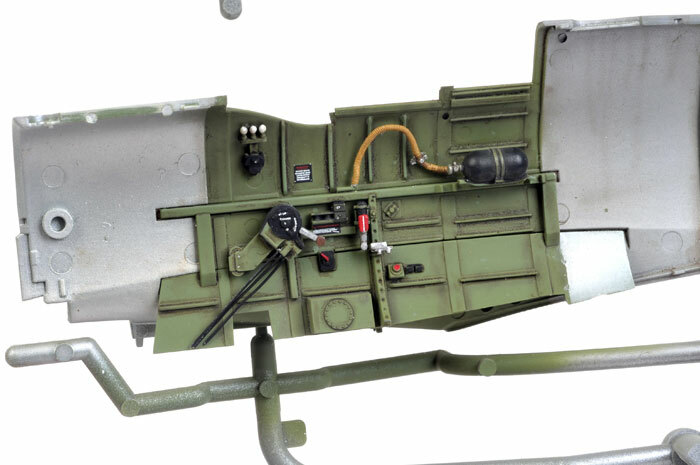 The kit was supplemented with Barracuda Studios' resin sets and Eduard photo-etch. 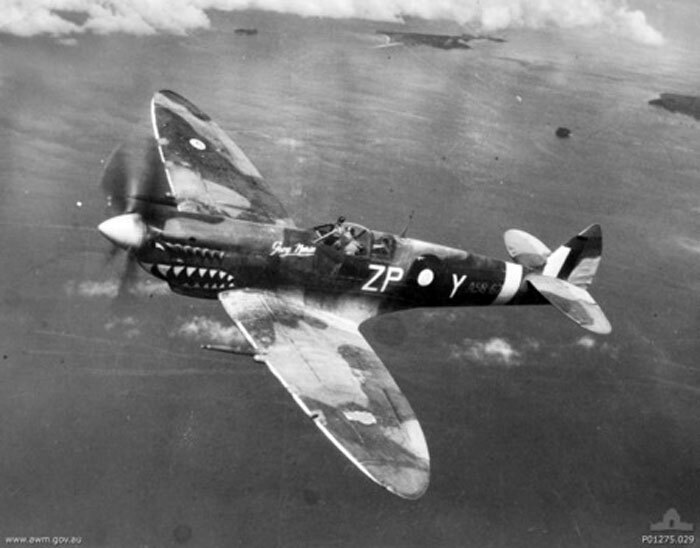 Chris carefully reproduced the weatherbeaten camouflage finish guided by several wartime photos, including the one below held by the Australian War Memorial. Decals were sourced from the kit, Aussie Decals and the code letters were from Aero Imageworks. When the first print run of ADH Publishing's "How To Build Tamiya's 1:32 Spitfire IXc" sold out, a revised edition was commissioned. 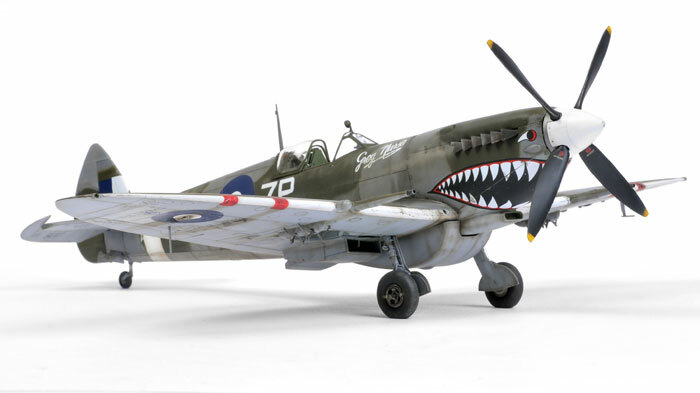 This expanded new edition now includes new Chapters on the Tamiya Spitfire Mk.VIII in the box, a full build featuring this Spitfire Mk.VIII, a Gallery section and a listing of currently available decals and accessories. 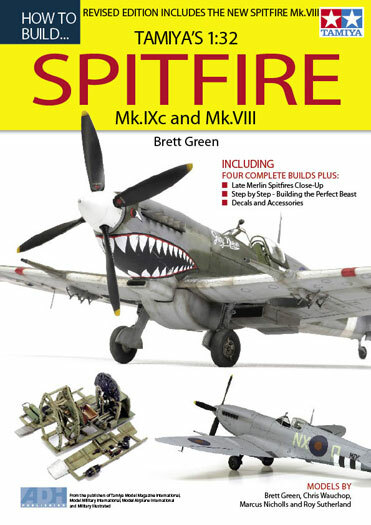 The bigger, revised edition "How To Build Tamiya's 1:32 Spitfire Mk.IXc and Mk.VIII" will be out in October, and may be pre-ordered right now by following this link.